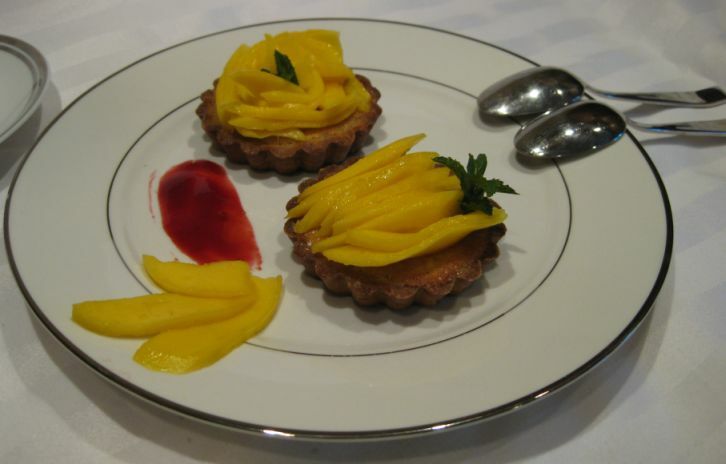 Mangoes are in season right now, they are sweet and perfectly ripe so I might as well incorporate them into my frangipane (almond filling) tartlets. 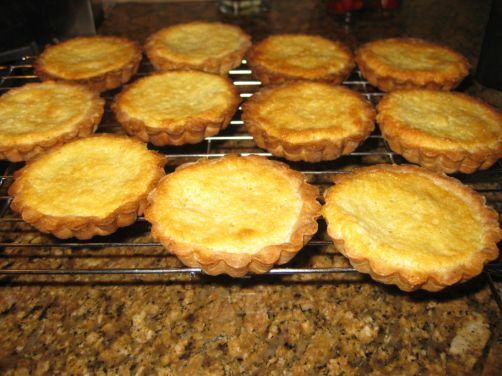 The most common filling use for tarts are either Crème pâtissière or frangipane filling. I like both filling but I probably like the frangipane filling a bit better. 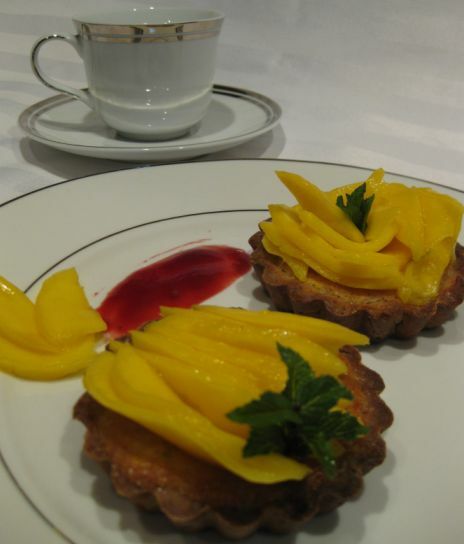 Hoa and I we shared this dessert while watching TV and sipping a hot cup of tea! 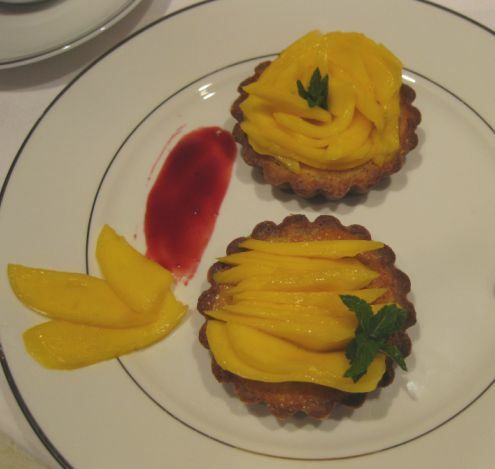 The tartlets really tasted like heaven. 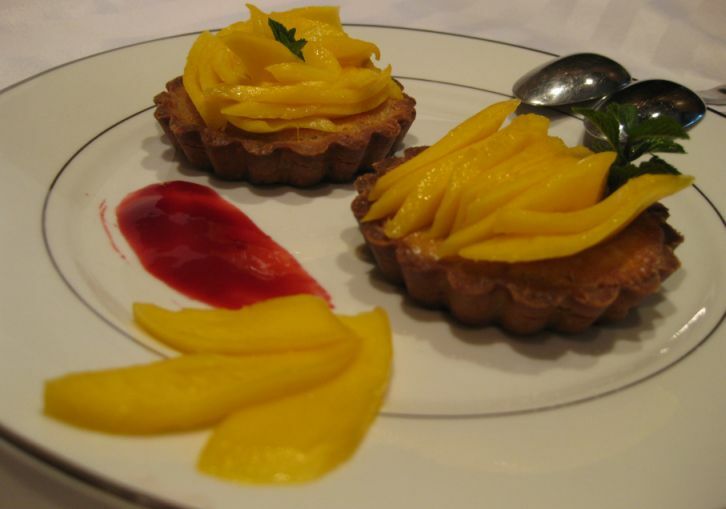 Close up look at the tartlets. 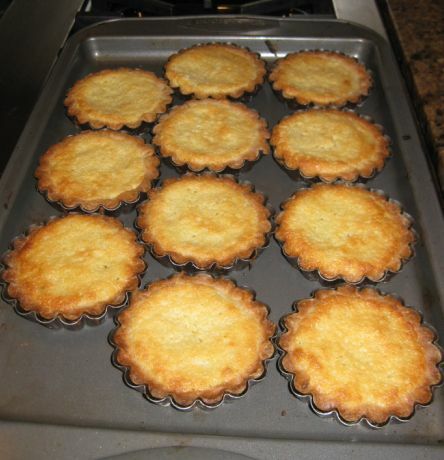 I made so many tarts and tartlets so I will not post pictures of how to make the dough (Pâte Sucrée) but you can find more details if you look at all my previous tarts preparation. 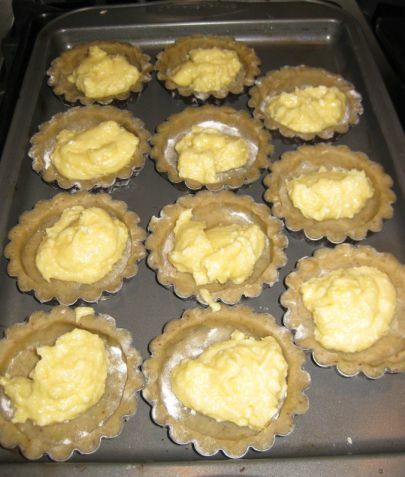 The tartlets are filled with frangipane and they are going in the oven for about 20 minutes. Freshly out of the oven. The molds are removed and then the tartlets are put on a cooler rack. 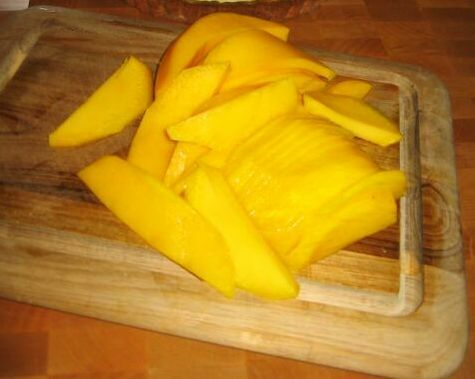 While the tartlets are cooling off, I am peeling and cutting the mangoes into slices.